The Globe and Mail has an interesting story about the first computer virus, created by Rich Skrenta in the 9th grade as a prank, the “Elk Cloner” was a self replicating program that was in effect the world's first “boot sector” virus. Skrenta has gone on the bigger and better things as a coder and business man but will likely always be known for this dubious honor. Little did he know what he had started! CBC News is reporting that Sharp has developed, and will mass produce, touch-screen glass that is about half the thickness of today's generation of screens, and because it does not use a film covering it will produce sharper images. The technology embeds an optical sensor in each pixel of the screen, will allow for multiple touch points on a single screen at the same time, and has scanning technology built in. The screen will go into production next year and can be made up to ~30 centimetres in width. The folks at G4's The Feed have gotten their hands on the new Xbox 360 peripheral, Messenger. It's a tiny keyboard that snaps onto your existing controller and allows for a more familiar typing experience. It looks a little clunky but apparently works great! A recent e-mail that I received from Microsoft had it's price pegged at $34.99 CA which seems reasonable since it comes with a wired headset. Check it out here. Since the iPhone's release earlier this summer there has been much speculation about the next generation of iPods, after all Apple has done little to the product line in nearly 2 years and the holiday season is quickly approaching. The wait appears to be nearly over though as Apple has sent media outlets an invitation to an event in San Fransisco this coming Wednesday. The invitation (see here) reads "The beat goes on" and features the infamous iPod user silhouette. Can't wait to see what's in store! Get a bonus entry in the iPod shuffle giveaway! Send me an e-mail identifying the book publisher that is publishing one of my flickr photos in an upcoming text book. E-mail your entry to greatbiggeek@gmail.com. Hint: It's in the archives! Science News online has a wrap up of over 70 soft drinks and their respective caffeine content. If you judge your cola by it's kick you might like to have a view. The research was conducted by Auburn University and I'm not sure whether or not recipes change from country to country but it's a an interesting comparison. Many of the brands represented are not available here but the big names are! Labels: caffeine, pop culture, soft drinks. c|net's news.com NewsBlog has had a sneak peek at a new Yahoo! service that is being tested amongst college students. Being dubbed Kickstart, the service is a social network geared towards finding you an in with employers. The idea is to hook you up with someone within an organization who has something in common with you, say, graduated from your school, is from the same town, shares interests, etc. The features are reported to be typical amongst the social networking crowd but the focus is definitely on job finding. Sounds interesting, hope it stays the course and remains focused on employment, otherwise do we really need another social networking site? Microsoft to buy Research in Motion? 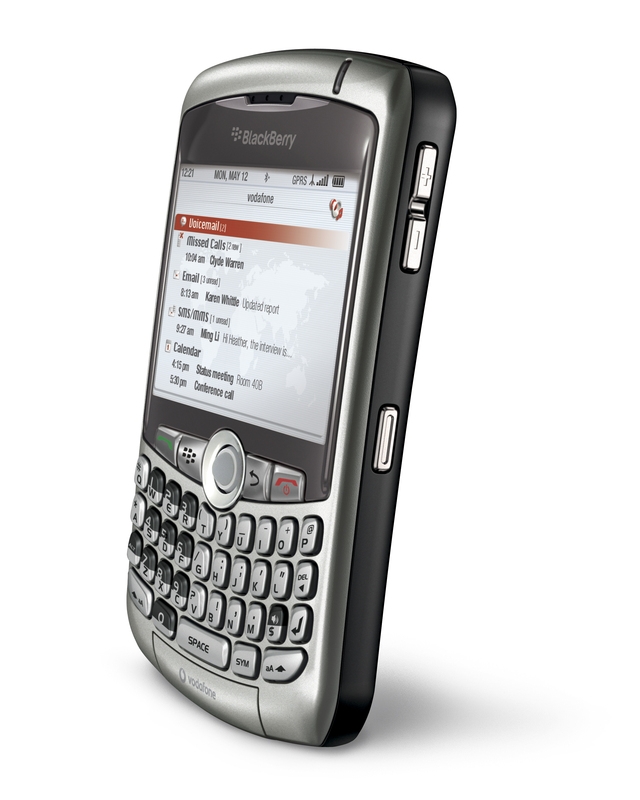 Research in Motion (RIM), the Canadian manufacturer of the Blackberry hand held device is the rumored target of a buyout by Microsoft. The stock markets reacted to the rumors by briefly pushing RIM stock to record highs. The Globe and Mail's reportonbusiness.com has the complete story. Another YouTube star is born - how embaracing! This video has been viewed more than 8.6 million times! I fell sorry for the young lady, I just wish I could figure out what the heck she was trying to say? In all fairness there must be intense pressure to think on your feet like that, in front of a large audience, and on a topic for which she obviously was not prepared to comment on. NY Times writer Michelle Slatalla has written a great roundup on where to find used and/or cheap text books online. According to Slatalla, the average cost of new books is $700 to $1000 per year, so it's worth having a look around... particularly on a student's budget! The Register has a story about the opposition of labour unions in the UK to the growing trend in IT departments of blocking social networking sites like Facebook and Myspace. Brendan Barber, General Secretary of The Trades Union Congress is quoted as saying "It's unreasonable for employers to try to stop their staff from having a life outside work, just because they can't get their heads around the technology." I think perhaps he's missing the point a bit, the problem is workers crossing the line between outside life and work duties. Blocking sites is not necessarily the answer either, but having a clear Internet usage policy would go a long way to avoiding abuse. U.S. commanders request ray-gun, for real! Called the "Active Denial System" it's been under development for over a decade and effectively deals with unruly crowds without firing projectiles. Instead, it mounts on a vehicle such as Humvee and fires an invisible beam that gives the receiver the sensation that their skin is burning, and crowds disperse without harm. Military commanders are asking that it be deployed to Iraq but the US government is reluctant to put it into action. Military lawyers have deemed it legal for use under current conditions in Iraq but the public perception of such a device is negative, especially since all documentation regarding testing and legal reviews is classified. According to this Globe and Mail article, "The Active Denial System is a directed-energy device, although it is not a laser or a microwave. It uses a large, dish-shaped antenna and a long, V-shaped arm to send an invisible beam of waves to a target as far away as 500 yards. The beam penetrates the skin slightly, just enough to cause intense pain. The beam goes through clothing as well as windows, but can be blocked by thicker materials, such as metal or concrete." Sounds like something straight out of the comic books. If you've got a couple of months and about $4300.00 perhaps you to can build "The Device". From Popsci.com photographer John Carnett comes the ultimate micro-brewery machine complete with taps. It's pretty incredible and worthy of envy... mmm... beeeer! Check it out. If you are in the market for a wireless network you many wish to take a look at ars technica and their roundup of 802.11n routers. They've completed a fairly comprehensive look at 3 offerings from competing manufacturers and weigh in on the pros and cons of each device. I was a little disappointed to see that my Netgear Rangemax fared the worst in ars technica's review. Considering that I've had mine for a year or more and that it was an upgrade from 802.11b, I really have no complaints. The range is exceptional in my experience and the only problem that I've encountered is that my neighbours have all jumped on board the wireless band wagon, and the space has gotten a little crowded. Ever since I switched channels to something less busy, I have been extremely happy and the Rangemax has preformed very well. One of the knocks on the device, according to ars technica, was it's performance at close range, I have not personally encountered that as the devices I have nearest the router are all wired to it. If I'd had this review to consider when I made my purchase decision I may not have gone with Netgear, but in short I am quite satisfied at the moment. I have been at this for a couple of months now and I have made a conscious decision to keep my blog and my work life separate, that is to say I don't discuss my company or its clients. It's a personal choice, and while I do work in the IT industry and some of the work we do might be relevant material, it's a line I have chosen not to cross. Many bloggers take a more personal approach to blogging and sometimes forget that they are putting things out there that their superiors or clients might not like aired in public or may take offense to. Steve Rubel has 5 short pieces of advice on how to run a corporate blog, posted at Wired's How to Wiki. A quick read and some good common sense advice. It seems the New Jersey teen who cracked the iPhone has changed his mind about people profiting from his hack. In this Globe and Mail article that I linked to last week, George Holtz was quoted as saying "That's exactly, like, what I don't want,... I don't want people making money off this." however today on his blog he has announced "I traded it for a sweet Nissan 350Z and 3 8GB iPhones." Best of all he traded it to a Kentucky-based mobile phone repair company, that has apparently also offered him employment! You can't blame the kid for wanting to secure employment but perhaps he should have chosen his words more carefully. Changes are coming but are we ready? The following quote is also interesting, "In a Telematics Research Group review of 2008 car models, 70 percent have voice-activated Bluetooth communication capability and 80 percent offer navigation systems as either options or standard equipment." Sounds like you might want to wait a few months if you are contemplating a car purchase. e-bay a bargain for investors? With all of the YouTube, Google, Yahoo!, and Facebook talk of late it appears as though the investing world has forgotten about e-bay. The Globe and Mail's Report on Business quotes Tim Boyd, an analyst with American Technology Research, as saying "Their stock is undervalued relative to all of the large-cap Internet peers," With a current price of around $34, nearly half of it's 2004 high of $60, and Boyd's target price of $42, it may be time to take a second look at e-bay? Toyota and Sony team up to develop robot cars? Toyota and Sony have announced that they are teaming up to produce an innovative, intelligent, single-seat vehicle. Sony is apparently selling some of its technology and loaning researchers to Toyota to assist in the project. Sounds a little like a one seat Smart Car, but I think the most interesting part of the deal is represented in this quote, from The Globe and Mail, "Toyota is introducing as a guide at its showroom at headquarters TPR-Robina, a womanlike robot-on-wheels it has developed. The robot can dodge obstacles, sign its name, carry on simple conversations in Japanese and deliver preprogrammed information in an electronic voice..."
Here's some big news for those of us who like to gaze skyward! A total lunar eclipse will be taking place tomorrow morning and will be viewable to those in North and South America, eastern Asia, Australia and New Zealand. It's the second such occurrence of the year, the first being 5 months ago and more prominent on the east coast of the continent. According to the CBC, "The partial eclipse will begin at 1:51 a.m. PT and end at 5:24 a.m. PT, with the total eclipse beginning at 2:52 a.m. and ending at 4:22 a.m. Skywatchers in the eastern time zone will only have a brief opportunity to see the total eclipse — which begins at 5:52 a.m. ET..."
Thursday marked the 8th birthday of Blogger, the platform that I am using here at Great Big Geek. To celebrate the event, or perhaps coincidentally, Blogger announced on Friday a new video upload feature that will allow bloggers to upload and store video podcasts or skateboarding dog videos. This is great news to me as I've been contemplating following the likes of Morgan Webb and Cali Lewis by publishing a brief video version of Great Big Geek. Don't' get too excited though, it will be a little while coming and I'm probably about as easy to look at as the Cranky Geeks (sorry guys but we can't compete on looks with the likes of Morgan or Cali, we'll just have to rely on content). Bagger's restaurant in Nuremberg, Germany may be the world's first fully automated restaurant. Patrons order their meals on touch screens, are updated as to when they might receive it, and when it is ready their plate glide along the rails to customers, propelled by gravity. According to Spiegel Online International "The setup is more reminiscent of a post office sorting room than a traditional restaurant". I'm not sure how the food is but the restaurant gets 5 stars for geekiness! Thanks to Engadget for this one. Is auto racing a sport? I had a discussion yesterday, amongst my family members, regarding the World Series of Video Games tour stop in Toronto and whether or not video gaming can be considered a sport, as many of the participants believe. A television report that we had watched showed gamers at their PCs receiving instruction from their "coaches". The discussion drew comparisons to NASCAR and Formula 1 racing, so I thought I'd do a little research and I think this video proves that indeed auto racing is a sport, and therefore video gaming which puts a human participant in control of a machine can also be considered sport. Enjoy! Researchers at the University of California in San Diego have out done themselves, literally. They have broken their own record for the world's highest-resolution computer display, with a massive 220 million pixels! "HIPerSpace provides a unique environment for visual analytics and cyberinfrastructure research and we are now seeking funding to double the size of the system at UC San Diego alone to reach half a billion pixels with a one gigapixel distributed display in sight." OMG... imagine playing Gears of War on that! Here's the press release. Thanks to Morgan Webb at WebbAlert for this one. What would you like to see in a new iPod? 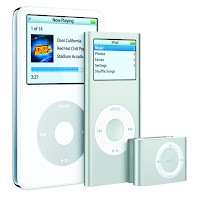 Matt Rosoff over at c|net NewsBlog is not too impressed with the thought of a new generation of iPods said to be on it's way. Rumours have been rampant since the release of the iPhone and Matt is asking the questions "What would make you buy a new iPod?". His argument, there is not much you could do to the iPod to make most users want to shell out more money to upgrade to the next generation. I'm not so sure, I think we are all subject to a tiny bit of new product envy regardless of how trivial the updates may or may not be.